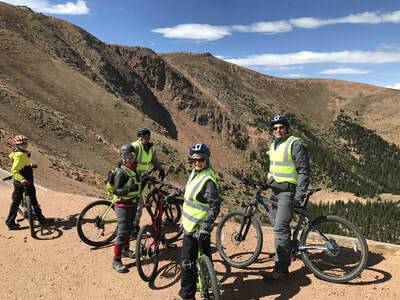 Cog Up / Bike Down / Zipline - CHALLENGE UNLIMITED, LTD.
After 126 years of operation, The Pikes Peak Cog Railway has decided not to reopen this spring for the 2018 season, or for the forseeable future. Over the past several months, the railroad has undergone a major evaluation and it has been determined that the infrastructure and equipment has run its course. The railroad is in the process of determining next steps and action plans for the future. For further information, please contact The Broadmoor Pikes Peak Cog Railway directly at 719-685-1045. Click here for more information. Join the thousands of visitors who have experienced the ultimate ride with Challenge Unlimited. 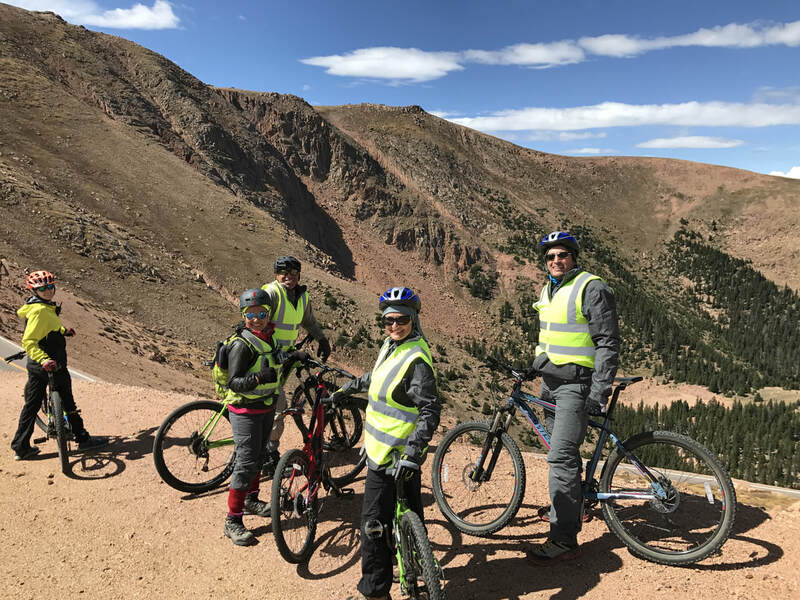 Your 19.5-mile downhill adventure from the summit of the world's most famous mountain...Pikes Peak, will stay in your memories long after your vacation is over. The trip begins at Challenge Unlimited's office at 204 S. 24th Street where you will join us for complementary continental breakfast, waiver signing, and fun. 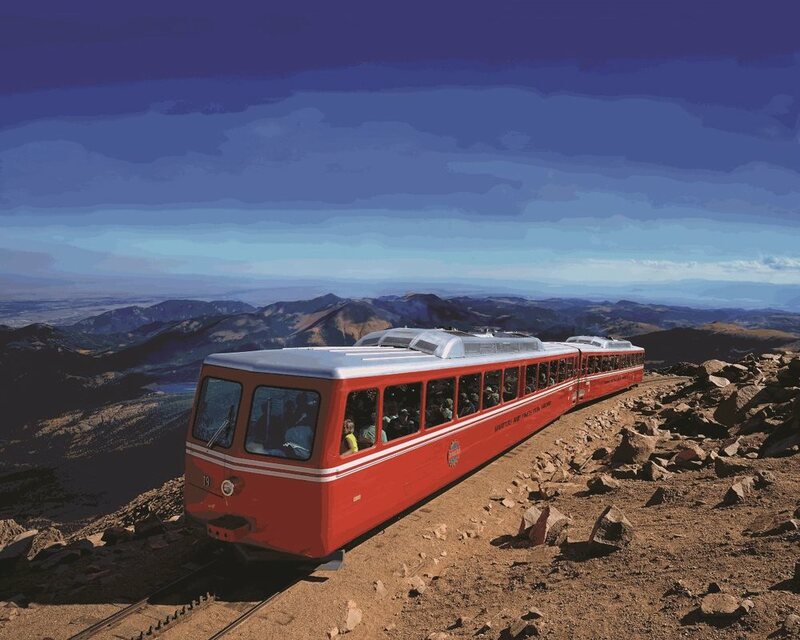 We will depart in our 15-passenger vans and head for the Cog Railway train station. Once aboard, you will experience some of the best views of Pikes Peak from the Southern face. The train ride takes about 1 hour and 15 minutes. You will meet the guides on the 14,115' summit and get set up with clothes, equipment, and bikes. As we descend down the mountain, we will pass through five different life zones, each zone having a different climate, different vegetation, and wildlife. Keep your eyes open for eagles, deer, elk, Rocky Mountain big horn sheep, black bears, marmots, and an occasional mountain lion. Keep in mind, it is cold up there year-round. We bring all the extra cold weather gear you might need, but feel free to bring anything else that will make you cozy at the top! ​For any other questions please head over to our FAQ page. * If any members of your group would like to have breakfast and the Cog ride up but don’t want to do the bike ride down, they are welcome to ride down in the Support Van. These vans will be with the bikers at all times and at all the stops. 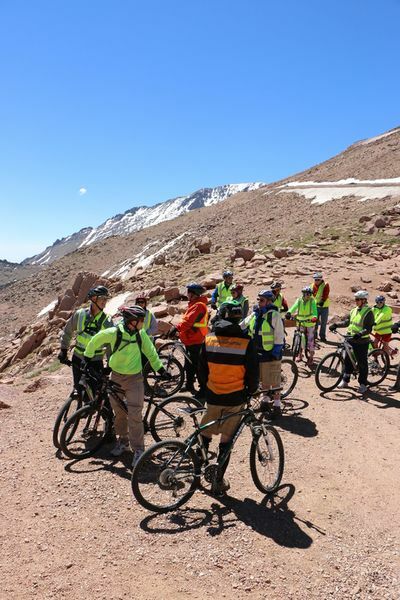 Feel free to get out of the vans at the regroup points to enjoy the vistas and guide stories of Pikes Peak. The lower $70 cost also includes a wonderful lunch at the Wines of Colorado.